Are you trying to find out what is a personal air cleaner? Do you want to know how this type of product can help you? In this article, we’ll go over everything you need to know about personal air purifiers. 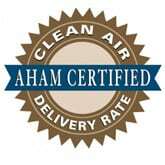 We’ll explain what it does, how it’s different from a home air purifier and why you may want to consider having one. What Exactly is a Personal Air Cleaner? A personal air cleaner is a relatively new invention that was created as a way for people to create a toxic free environment within their personal space. Most likely, you’re already familiar with the innovation of the “home air purifier,” which cleans the air within a single room or an entire house. The way in which a personal air cleaning device differs from a home air purifier is that it allows you to take this powerful technology with you, no matter where you go. Regardless, if you’re in your car, walking down the street or traveling on an airplane, this personalized device ensures that you only breathe in clean, fresh air with every breath. Most personal air purifiers, such as the Filterstream AirTamer, are excellent at removing airborne viruses, bacteria, pollen and other allergens that cause health and breathing problems. While wearing this personal air purifying device, you can rest assured that the air directly around you is being filtered from these contaminants. The Wall Street Journal published an article that showed that personal air cleaners helped remove a variety of test particles in a laboratory environment. Why Would You Want a Personal Air Purifier? 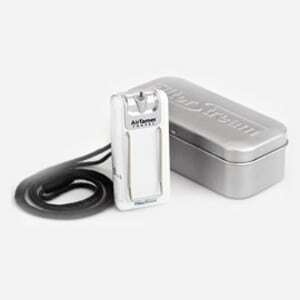 A personal air purifier is an excellent product to have because it helps cleanse the air within your personal air space. Most people that wear these devices have reported that they not only can breathe better while outdoors, but havealso noticed a significant increase in their overall health. Since a personal air cleaning device is designed to keep the air around you clean from any harmful impurities, this prevents you from ihaling particles that cause health issues and breathing problems. Most people who suffer from severe allergies or asthma notice the biggest difference in their health by wearing a personal air purifier. These are the same people that benefit greatly by having a dedicated air purifier inside their home too. By wearing a personalized device, it’s possible to enjoy relief from allergy and asthma symptoms when outside the home. If you or someone you know suffers from asthma or allergies, consider trying out a personal air cleaner. The technology is increasing at a rapid rate and the costs for these types of devices continues to drop. You can find top quality products in the range of $50-150 that are well worth the investment. 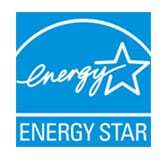 What is an Energy Star label on an air cleaner?